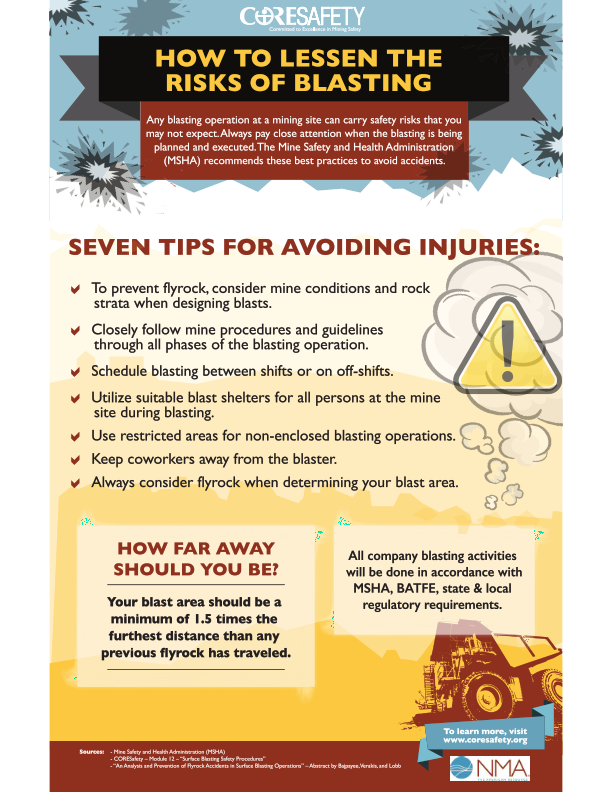 Blasting operations on any mining site carry inherent risks that demand close attention during both the planning and execution stages. In December 2017, three miners were injured when explosives detonated prematurely without any warning. Despite being positioned 130 feet away from the blast, the employees were struck with flying debris that resulted in various types of injuries. 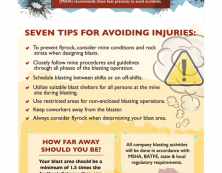 As a result, the Mine Safety and Health Administration (MSHA) issued a new Serious Accident Alert with recommendations on how to best avoid flyrock accidents like these. Here’s a new CORESafety infographic that explains these recommendations. You can also discover what CORESafety’s Module 12 has to say about lessening these risks by clicking on this link: CORESafety Surface Blasting Safety Procedures.